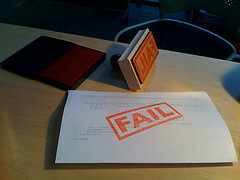 Many inbound marketing agencies are failing at inbound. Inbound marketing requires an extraordinary shift in thought and effort. Some agencies that haven’t fully transformed their approach are calling content marketing “inbound," because they are executing it on inbound marketing software. Before we examine this, we first need to determine the difference between content and inbound marketing. Content marketing is a broad topic and includes a lot of different types of marketing tools. Video, webinars, emails, eBooks, whitepapers, presentations, infographics, podcasts and other content vehicles all fall into the content marketing bucket. The trick (often overlooked by the experts) is deciding what to create when and how to use it in both your new customer acquisition process and current customer communication process. Inbound marketing provides a context for making those content decisions. Best practices include mapping both processes by target market and then applying the right type of content in the right format across the process. This ensures that content is delivered in context for each prospect at the perfect stage in their purchasing process. A symphony is an effective analogy to describe the difference between the two. You can execute content marketing without inbound marketing strategies, just like you can play an instrument and put on a show without being in a symphony. You cannot have a successful inbound marketing program without a great content strategy, just like you cannot have a symphony without a director leading multiple instruments into harmony. Inbound Marketing is Art and Science. An agency could be putting out regular blog posts, ebooks, email newsletters, social media posts and engagement, videos, webinars and infographics on an inbound software platform such as Hubspot...but if there is no strategy, alignment, metrics, or adaptation, they have lost the science. On the other hand, an agency could be creating their client’s buyer personas, setting realistic goals and KPI's, breaking down the buying cycle, constructing targeted lead-nurturing campaigns aimed at converting leads into customers, analyzing and measuring every step of the process... but if they aren’t creating amazing content, they have lost the Art. For the visionary minds in most marketing agencies, creating great art is usually easier than creating great science. Sometimes an entire reorganization is needed. 1. No measurement - Measurement is the Science of Inbound. Every school kid can tell you how to run a science project. If the experiment does not show recorded data, statistics tracking, error reporting, or visuals for the findings, they are going to FAIL that project. Inbound marketing agencies that are doing it right are approaching inbound programs with a similar mindset. There is no way to prove the marketing efforts are providing results if they aren’t being analyzed. Action: Ask them to list some types of measurements they frequently use for their clients, and why they use them. General metrics such as conversion rates, keyword rankings, cost per, traffic per, growth per, engagement, return on investment, and segmented list activity are a few you’d might expect. 2. No Goals - The flip side to measurement is there are pretty much endless ways to measure an inbound marketing campaign. If you don’t have a clear idea of what specific improvements you want to see, you won’t know if you’ve improved. If an agency isn’t defining goals, they might be repeating the same marketing program for every client, because its easy to execute. But inbound is not one-size-fits-all. Action: They should begin by asking about your goals, and then get a sense of the timing and urgency around those goals. What are the metrics and benchmarks most important to you? 3. No management - Inbound takes a large time and work commitment from both parties, those requirements and expectations should be spelled out. Communication is critical: agencies should be documenting work and meetings to bridge that communication gap. Action: If they haven’t told you, ask exactly what types of meetings for review and strategy are needed, expected meeting length, and if the meetings and work will be documented. 4. No results - Inbound marketing agencies that are doing it right have the numbers and results to back it up. Its not going to be a home run every time. But if they can’t prove to you how their efforts have created quantifiable results from a clients marketing spend, you should get a second opinion. Action: If there are no successful case studies readily available on their site to download, ask to see the data, ROI and testimonials from their clients. 5. They don’t walk the walk- If an inbound marketing agency is not utilizing the science of inbound for themselves, chances are they will not be able to execute it for a client. Granted, this is sometimes a case of the plumber who never fixes his own leaky faucet. But if an agency isn’t “practicing” for their own firm, they will never gain the skills to handle a client’s inbound marketing program effectively. Action: Closely examine their agency website, blogs, social media accounts and Google rankings to determine if they can deliver on their promises. Inbound marketing has been proven to yield exceptional results if executed correctly. It’s a revolutionary approach that can change many aspects of business. Yet it has become a buzzword that many are adopting, and few are executing well. If agencies continue to focus on content and tactics without including strategy and measurement, it has the potential to go down the same dark alley SEO went. We have to expect more from ourselves and from the agencies we work with. Kasie Hilburn is an Inbound Sales and Marketing Consultant. She has helped people from all walks of life in practically every industry move their business where they want it go with sales and marketing for the past 10 years. You can connect with her on Twitter or LinkedIn.